Rugged - Resistant to water (IPX7)3, fuel spills, UV rays and harsh conditions, zūmo 590LMis tough enough for cruising and adventure riding alike. Roads - Ride your favorite twisty. Set zūmo 590LM to navigate to winding rides. Take your ride off the road. 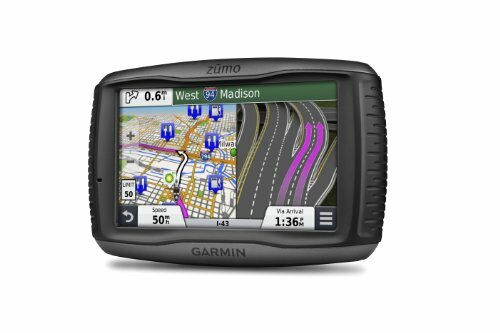 zūmo 590LM lets you download and view 3-D terrain detail (Additional mapping sold separately).